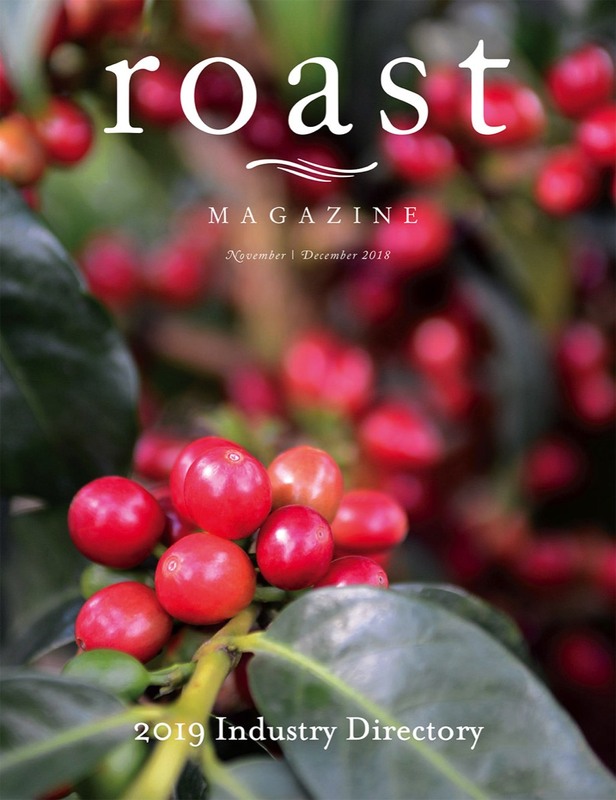 Each year with its November/December edition, Roast magazine proudly presents its Industry Directory issue. 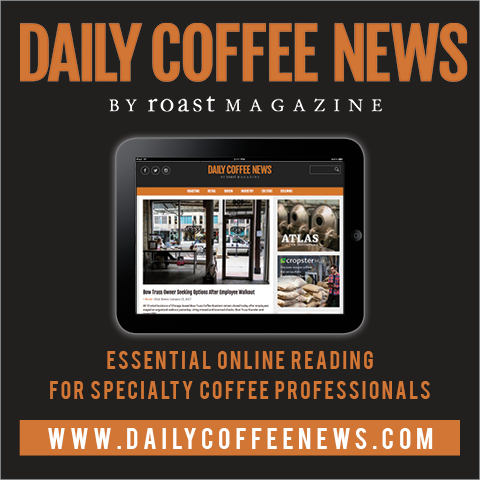 In addition to Roast's usual outstanding editorial feature articles, this award-winning issue contains an up-to-date, all-inclusive directory for the entire roasting industry, fully categorized and alphabetized for easy lookup. 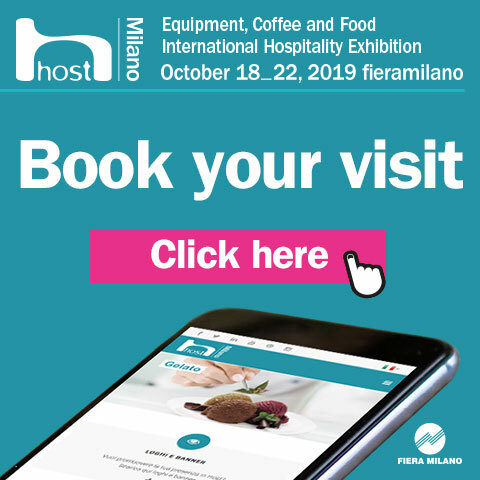 ACT NOW TO ENSURE YOUR FREE LISTING: To receive your FREE listing in this year's issue, please fill out the online submission for below by August 9, 2019. 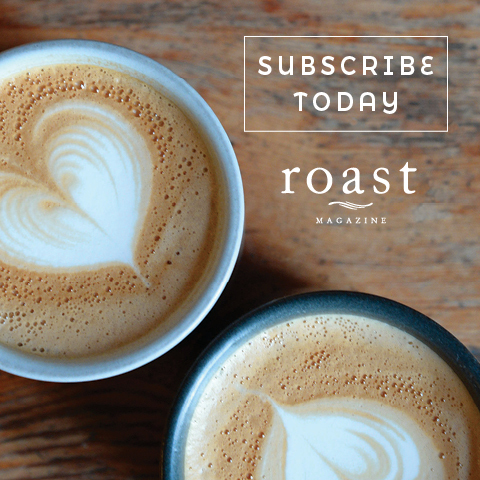 To receive your free listing in the Roast magazine 2020 Industry Directory (Nov/Dec 2019 issue), please fill out the online submission form below (or download the printable PDF form to send via fax or post office) by August 9th, 2019. 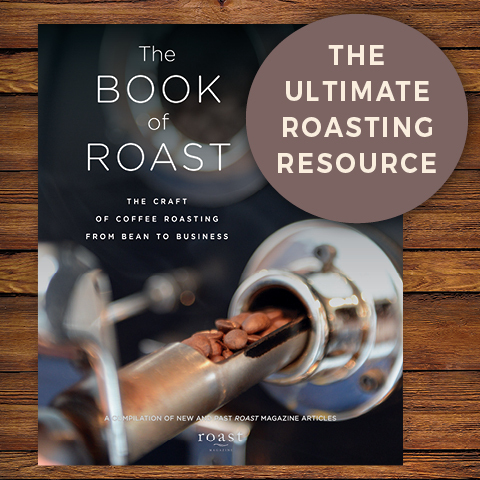 The Roast directory issue is a six-time winner/finalist in the Maggie awards and American Society of Business Press Editor’s awards. 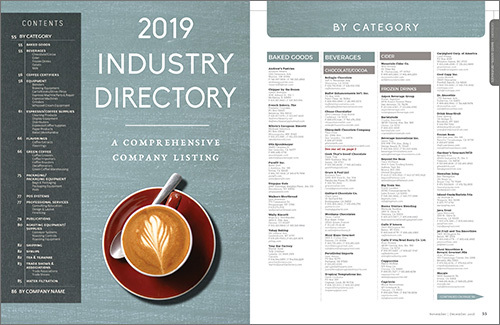 Opening spread of the 2019 Directory shown at left. This field must contain your zip info. Please put N/A if no zip is avaialble. This field must contain your country. Printable Form: If you prefer a printable form (to send via snail-mail or fax), a hi-res printable PDF is available. 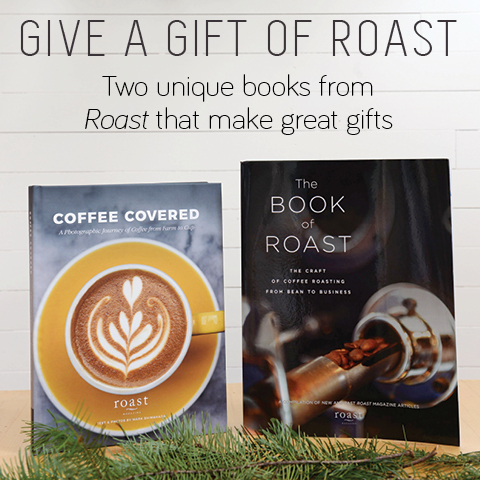 For more information call Claire at 503.282.2399 or contact her via email at claire@roastmagazine.com.